It’s a rare event that combines sports and art, but Reston has one this weekend. 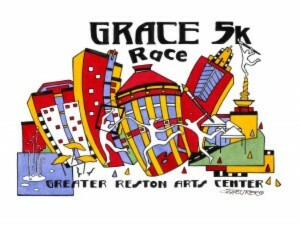 There is still time to sign up for Saturday’s GRACE Race 5K to benefit Greater Reston Arts Center. Race-day registration is $35. There is also a 1K option ($20). 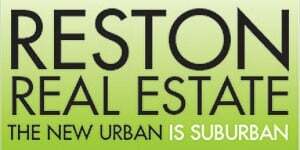 Fees benefit programs at Greater Reston Arts Center. All runners will receive a race T-shirt, $5 off a GRACE annual membership (which provides 20 percent off at five Reston Town Center restaurants, all year long), and other goodies. The course begins at 8 a.m. at the Pavilion in Reston Town Center, continues on the Washington and Old Dominion Trail, and finishes back at the Pavilion. The 5K will be followed by the 1K Fun Run at 9:30 a.m. Participants are encouraged to wear art-inspired costumes. In addition to light, post-race refreshments, there will be free family art activities sponsored by GRACE at the Pavilion. Top finishers earn a six-month free trial to CRUNCH fitness at Reston Town Center as well as free GRACE membership. Top age group winners get a three-month CRUNCH membership. There will also be prizes and treats for the 1K finishers.